On 25 April 2018 the Board of Sports and Culture approved an extension of his contract. Dima Slobodeniouk’s tenure as principal conductor of the Lahti Symphony Orchestra will be extended after the end of his existing contract, which runs until the spring of 2019. At a meeting on 25 April 2018 Lahti’s Board of Sports and Culture approved the deal struck with Slobodeniouk for the contract to be extended. The extension covers the period from 1 August 2019 until 31 July 2021 and is essentially a continuation of the current agreement. Slobodeniouk will conduct in Lahti for an average of eight weeks per year. His duties will also include being artistic director of the orchestra’s international Sibelius Festival. Slobodeniouk has been principal conductor of the Lahti Symphony Orchestra and artistic director of the Sibelius Festival since the beginning of the autumn 2016 season. His choices of programmes and artists have won widespread acclaim. The recording with the Lahti Symphony Orchestra (BIS) including Kalevi Aho’s Bassoon Concerto conducted by Slobodeniouk, received a prestigious BBC Music Magazine Award in April 2018. Slobodeniouk is also music director of the Orquesta Sinfónica de Galicia, and his international career is advancing significantly. In the current season he has made successful débuts with orchestras including the Berliner Philharmoniker, Bavarian Radio Symphony Orchestra and Sydney Symphony Orchestra. This week Slobodeniouk conducts the Lahti Symphony Orchestra in Hämeenlinna (25 April) and Lahti (26 April). The Lahti Symphony Orchestra’s general manager Teemu Kirjonen is delighted at the continuation of the collaboration with Slobodeniouk. 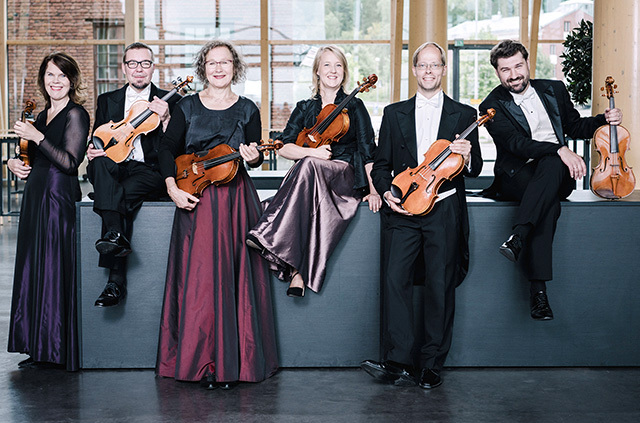 ‘After successful years with Vänskä, Saraste and Kamu, expectations for Slobodeniouk’s time were very high – and they have been brilliantly fulfilled’, says Kirjonen. ‘Slobodeniouk has received great acclaim from many directions for his work, and the new agreement is an excellent way of ensuring the orchestra’s artistic development prospects for several years to come’, Kirjonen concludes. Dima Slobodeniouk has been principal conductor of the Lahti Symphony Orchestra and artistic director of the Lahti Sibelius Festival since 2016, and he has also held the position of music director of the Orquesta Sinfónica de Galicia since September 2013. Dima Slobodeniouk combines his native Russian roots with his years of musical study in Finland. Drawing on the powerful musical strengths of these two countries, he maintains a strong presence on concert podiums internationally. This season he gave successful débuts with the Berliner Philharmoniker, Bavarian Radio Symphony Orchestra and Sydney Symphony Orchestra. He returns to the Gewandhausorchester Leipzig before giving his début at Tanglewood Music Festival with the Boston Symphony Orchestra. Highlights of the 2018–19 season include his débuts at the Musikverein with the ORF Radio-Symphonieorchester Wien, with the Royal Concertgebouw Orchestra, Amsterdam, the Rotterdam Philharmonic Orchestra and the Bayerisches Staatsorchester Munich. Across the continents he performs for the first time with the NHK Symphony Orchestra in Tokyo, Seoul Philharmonic Orchestra and Minnesota Orchestra, among others. He returns to the WDR Sinfonieorchester Cologne and Dresden Philharmonic Orchestra. The recording with the Lahti Symphony Orchestra (BIS) including Kalevi Aho’s Bassoon Concerto conducted by Slobodeniouk, received a BBC Music Magazine Award in 2018. His discography also includes recordings of works by Lotta Wennäkoski with the Finnish Radio Symphony Orchestra (Ondine) and by Sebastian Fagerlund with the Gothenburg Symphony (BIS).